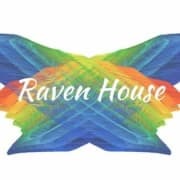 Raven House is a gathering place for neurodivergent individuals and their families. We are dedicated to serving the neurodiverse community of Seattle by providing support services, advocacy, and opportunities for social connection. Raven House is operated by Honor in Legacy, a Seattle based 501c3. The mission of Honor in Legacy is to provide education, advocacy and support for under-served populations in the Seattle area. The origins of Raven House began with Root Academy, a private school serving students with special needs (operated from 2016-2018). Root Academy was founded on the belief that all students had the power to unfold their potential as unique individuals. As we heard more stories from neurodiverse families and individuals about unmet needs and social isolation, we gradually expanded our vision out of a desire to serve a broader community. The Executive Board of Honor in Legacy is made up of parents of neurodiverse children, and two of our board members are also neurodiverse. We understand on a fundamental level what it is like to live with a unique mind. Would you recommend Honor In Legacy?